Whole Wheat Pretzels made with 100% whole wheat flour! They’re fluffy and delicious, and coated with cinnamon sugar. Oh how this question would pain me, because I would have to break the bad news. You see, you can’t just swap the two whenever you want, and expect the same results. 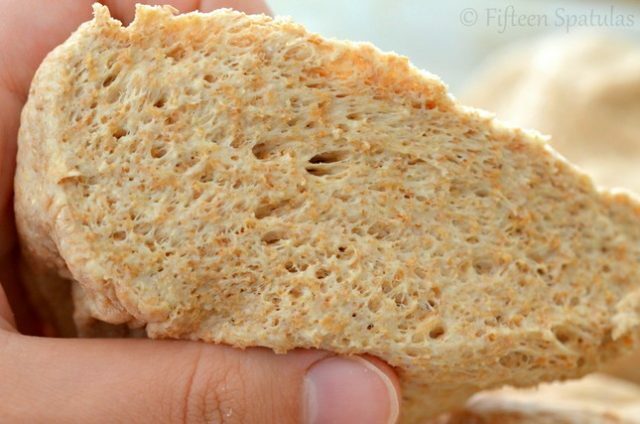 The reason it doesn’t work is because whole wheat flour has significantly less protein than white flour, which means less gluten-developing ability. And gluten is practically everything with bread. 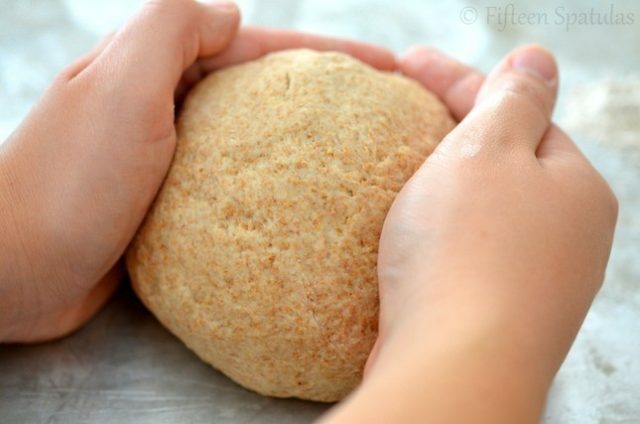 It’s why we spend 10 minutes working that dough, so we can develop a big strong web of gluten-rich dough that can hold in the gas bubbles that the yeast make, and give the dough rise. Translation: Without gluten, bread would be heavy and dense, instead of light and fluffy. The yeast would be producing its gas bubbles, but there would be nothing to catch and hold those gas bubbles in. 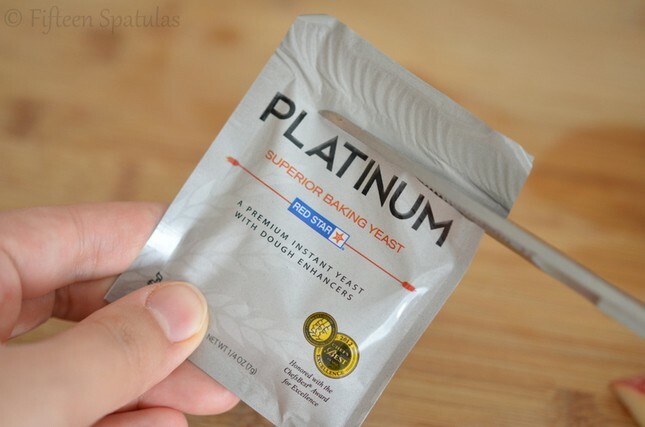 This super magical yeast I used is this Platinum Superior Baking Yeast. It has dough enhancers that strengthen the dough, and give the bread more rise and oven spring. 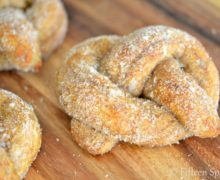 The minute I got my hands on some of this yeast, I knew I had to test out the Hot Buttered Fluffy Pretzels…made with 100% Whole Wheat Flour. It turned out to be a total kitchen success. 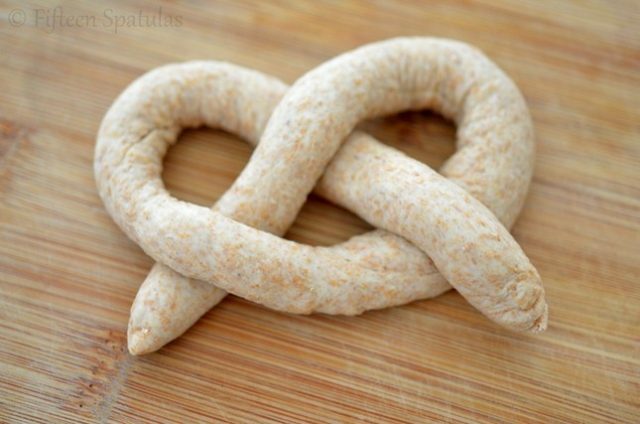 I discovered that I was able to make the soft baked pretzels entirely out of whole wheat flour. 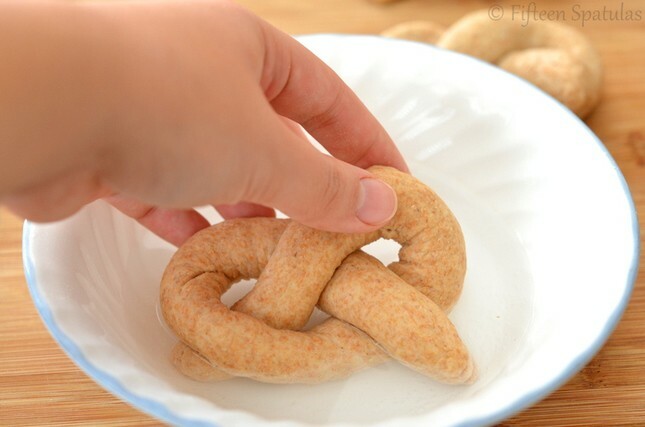 And shape them into pretzels, without stickiness on my hands. they went onto the sheet pan for 15 minutes and puffed up like crazy. 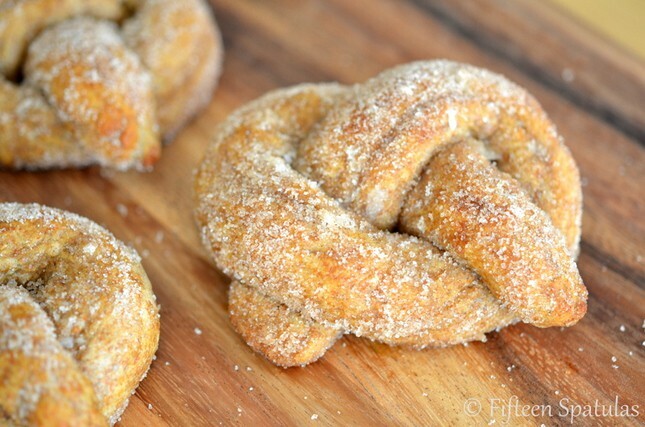 This time for the whole wheat version, I decided to make them cinnamon sugar pretzels. 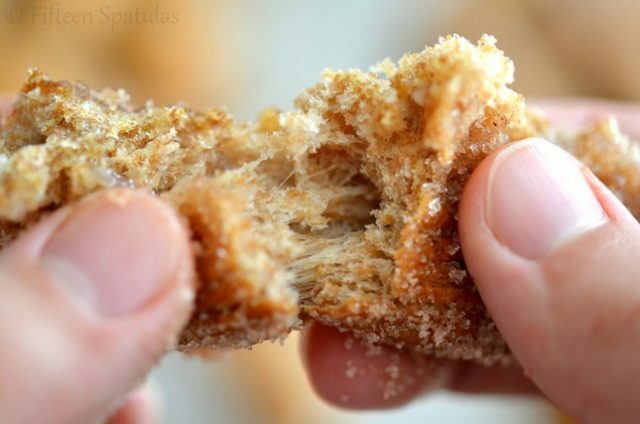 It’s not that I don’t like the hot buttered ones…it’s just I’m crazy for cinnamon sugar tossed ANYTHING. Long ago when I’d go to the mall and get lured into the perpetually long line at Auntie Anne’s, I always got the cinnamon sugar one. Because that darned cinnamon smell in the air is what got me every time. 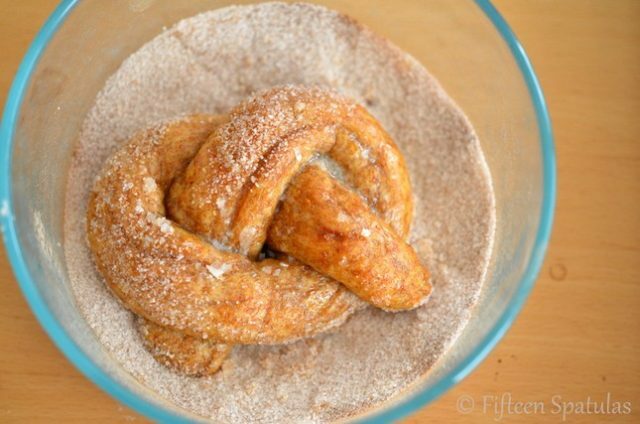 And because these are made from whole wheat flour, that means it’s totally okay to turn these into cinnamon sugar pretzels. You totally earn it with that 100% whole wheat part. Or so says my brain. Combine all the dough ingredients in the bowl of a stand mixer, and mix with the paddle attachment until somewhat combined (or just mix by hand with a wooden spoon). 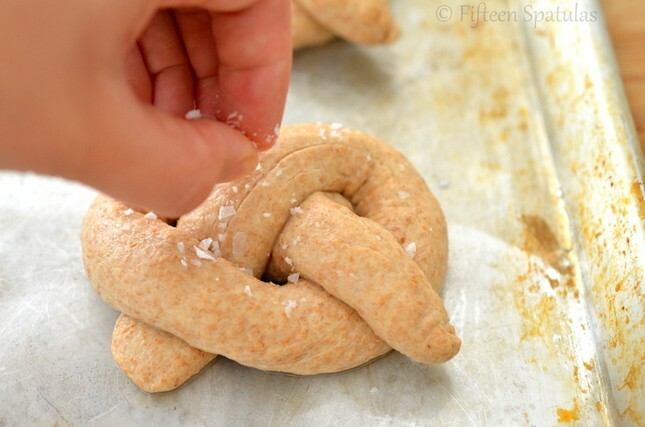 Change to the dough hook and knead on medium low for 10 minutes. The dough shouldn’t be sticky, just slightly tacky to the touch. Place the dough in a ziploc bag and let the dough rise for 30 minutes. Preheat the oven to 450 degrees F, and lightly grease a baking sheet with vegetable oil. You could also do parchment paper if you can find one that’s rated high enough (most parchment papers I’ve seen only go up to 420 degrees F). Remove the dough from the bag and place onto a clean countertop. 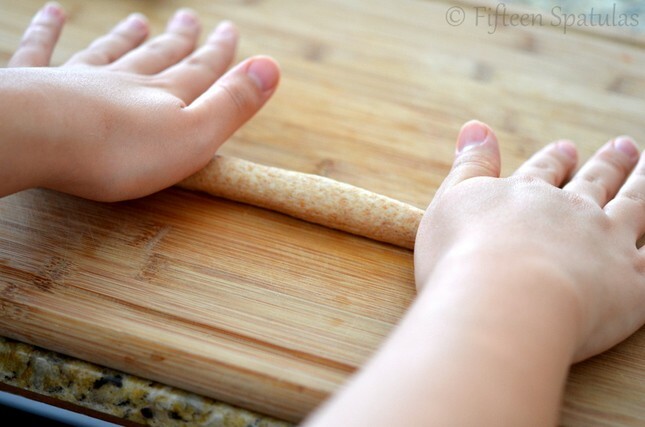 Divide the dough into 8 pieces (just cut it with a knife). 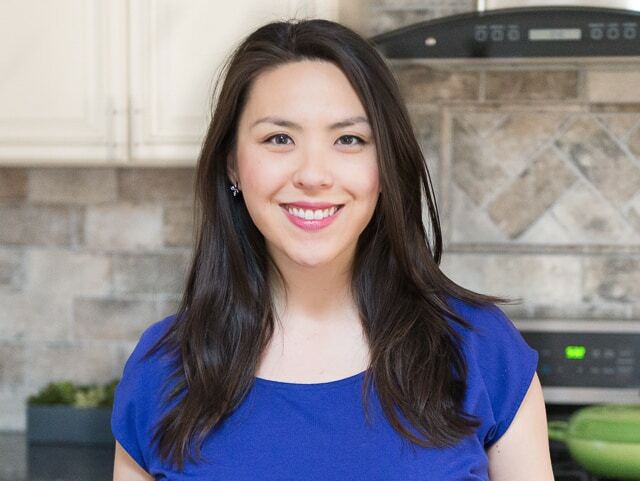 Whisk to combine the warm water and baking soda and heat in the microwave for 1 minute. FYI it’s not going to dissolve completely, and that’s okay. Roll each of the eight pieces into a long rope, and shape each one into a pretzel (see the step-by-step photos on the blog post to see how to do this). Dip each pretzel into the soda wash and place onto the greased baking sheet. Sprinkle with coarse sea salt, then let them rest for 10 minutes. Bake for 9 to 10 minutes until the pretzels are golden brown, and prep the cinnamon sugar by whisking the sugar and cinnamon together. 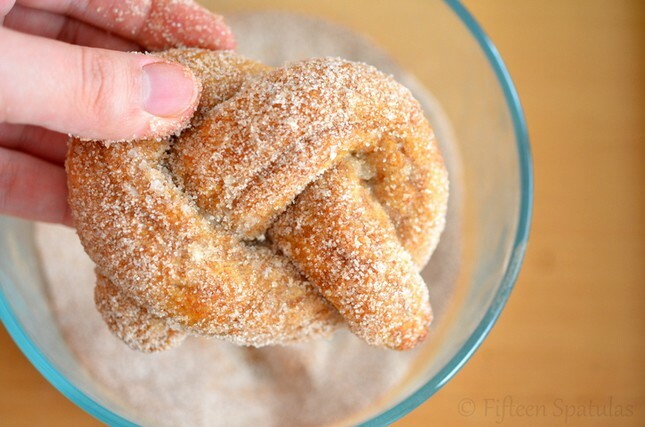 Brush the pretzels with the melted butter while they are hot out of the oven, then toss in the cinnamon sugar. Serve and enjoy! My favorite bread of all-time is my mother’s home-made white bread. These look yummy! If I don’t have a dough hook can I make the dough in my bread machine? Quick question, isn’t 12.5 ounces of flour 1.5 cups rather than 2.5 cups?? That’s liquid measurement. It’s different for dry. These look great! I’m curious to know if you have tried boiling them in the baking soda water, rather than just dip them in a wash? I haven’t, but if you’re careful that would probably work fine and may give it a more bagel-like texture.